The beach is located west of the golf resort Vale do Lobo, where the sandstone cliffs end. 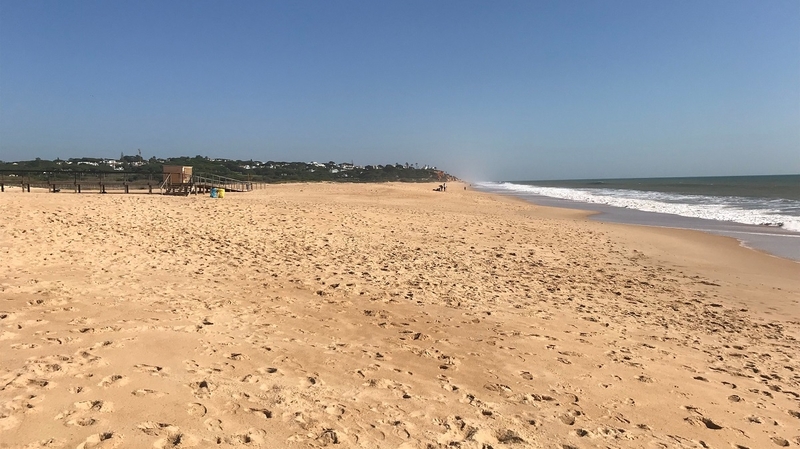 There is no infrastructure, but the facilities of the nearby beach restaurant Temperus on the Loulé Velha beach can be used. Access to the Trafal beach is from the parking at the restaurant by a small trail through the reed belt separating the flat sandy beach for the rural behind it. In wintertime this area turns into a lagoon and you get your feet wet walking on the trail.